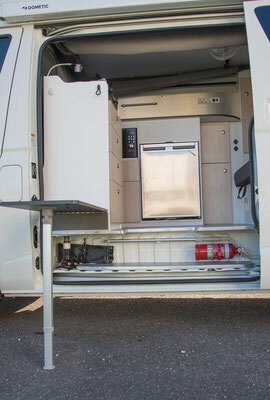 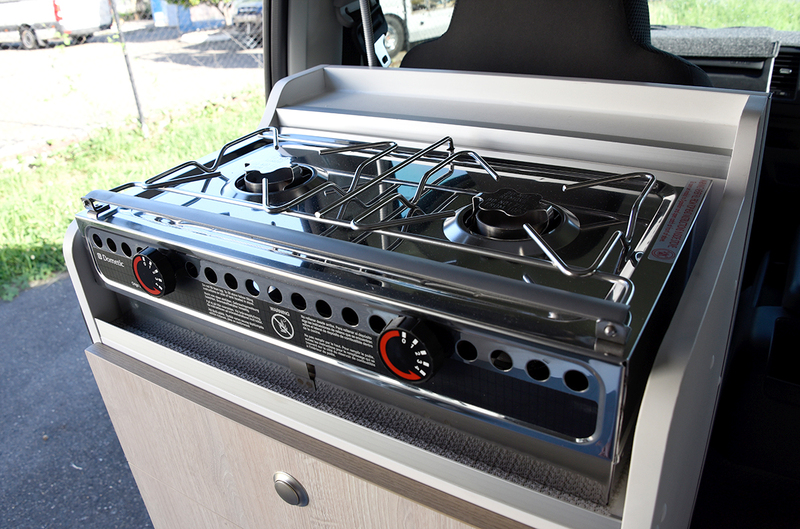 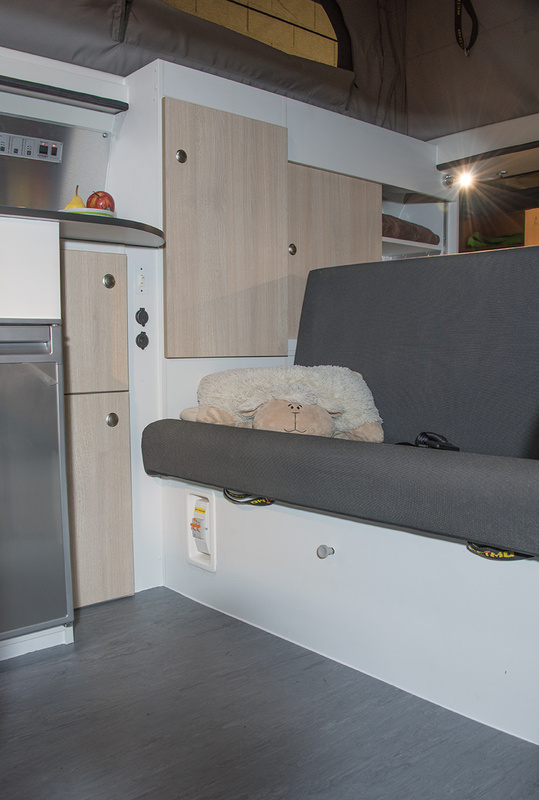 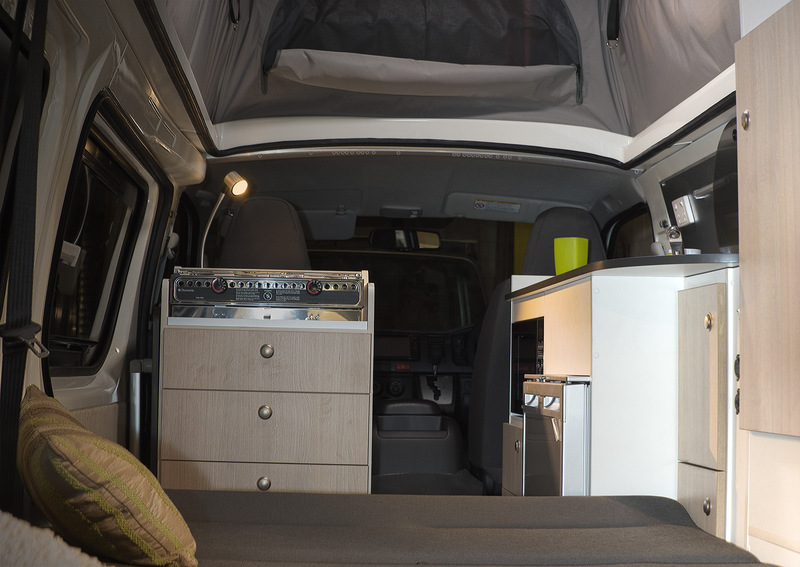 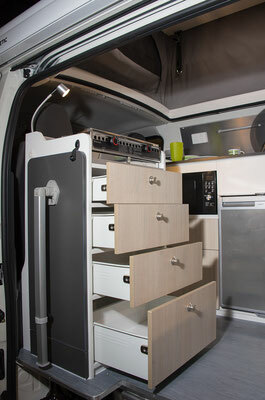 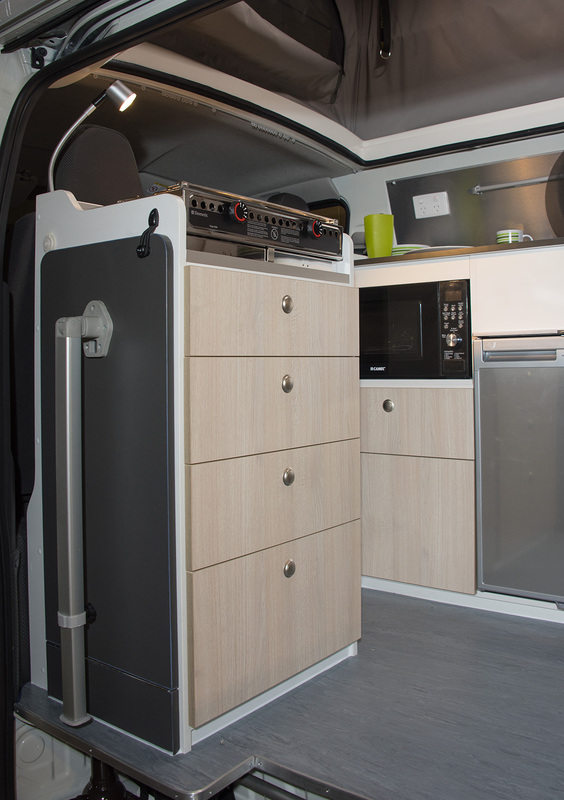 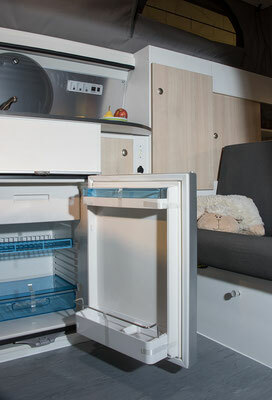 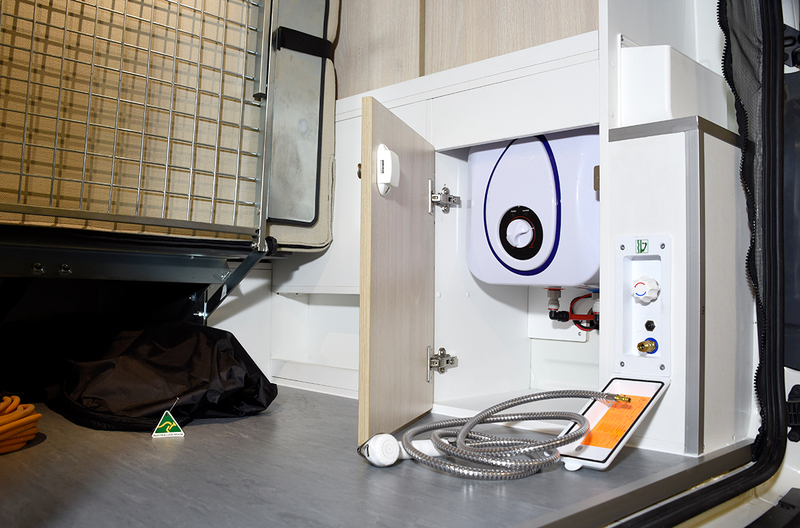 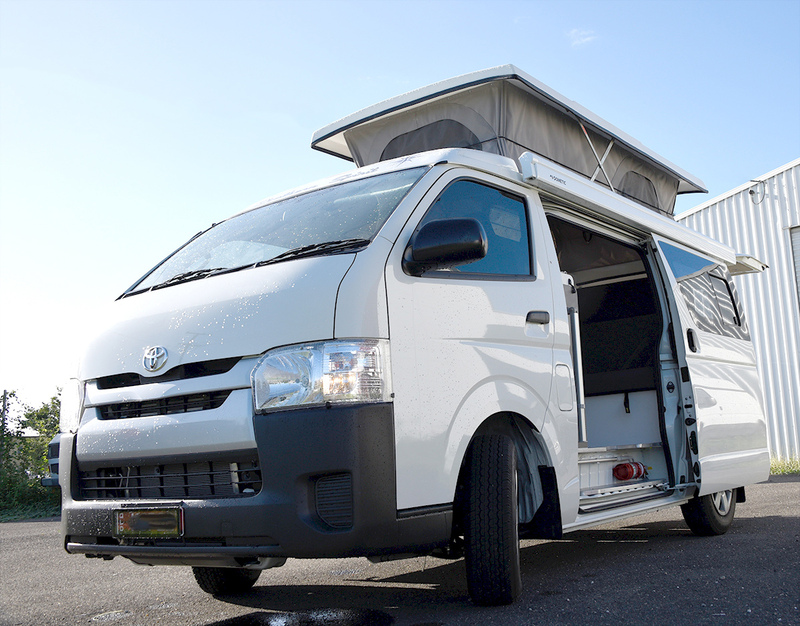 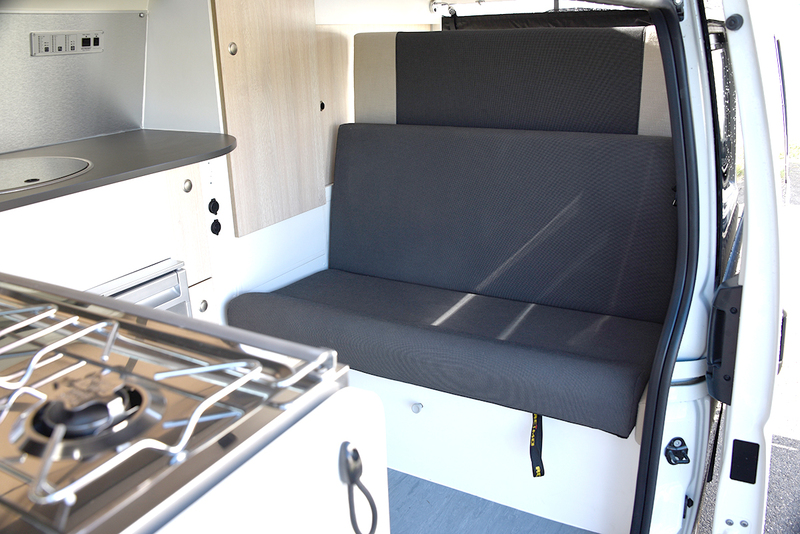 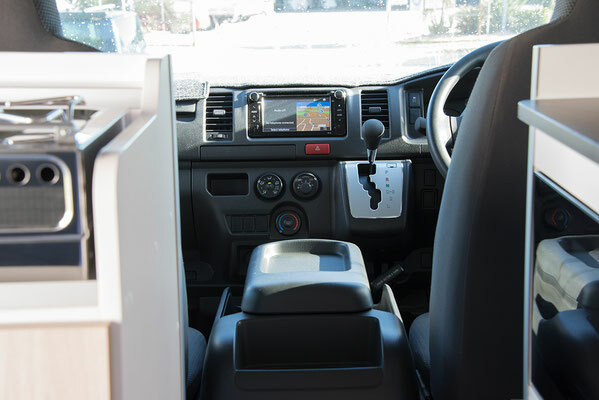 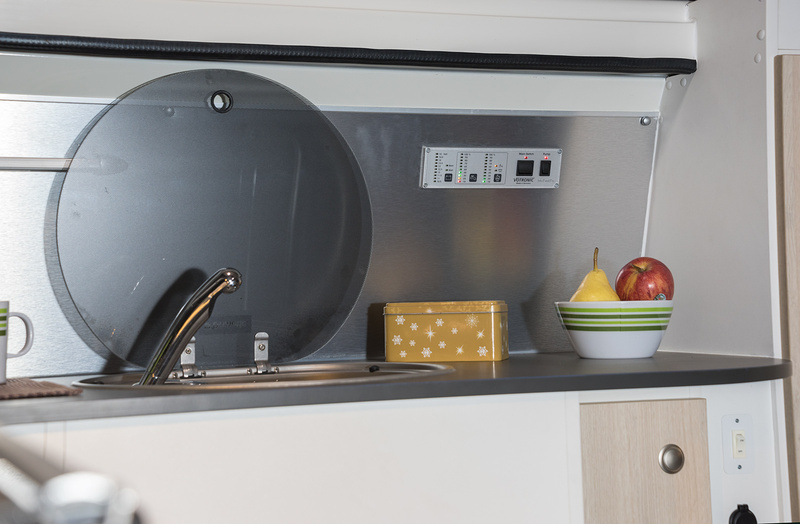 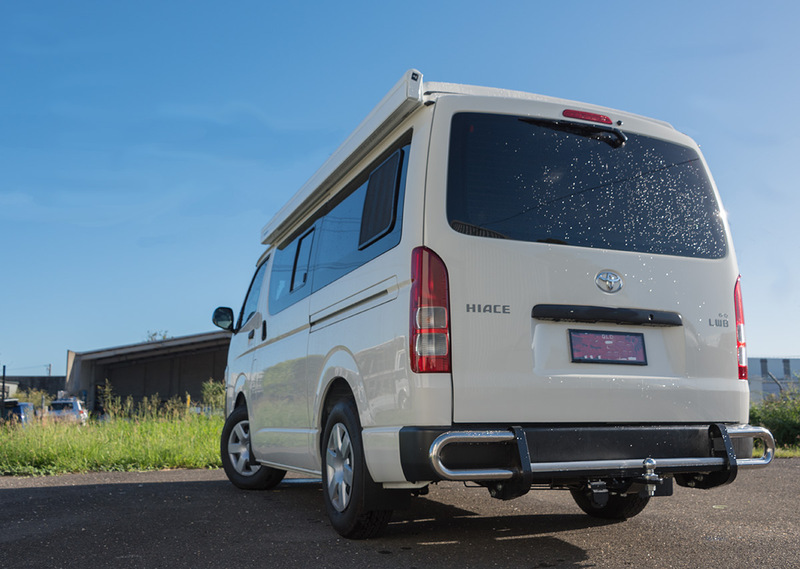 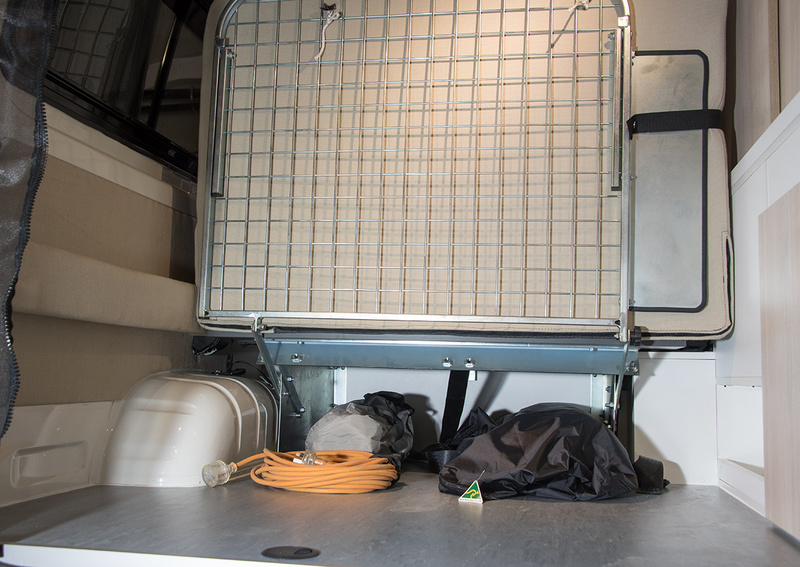 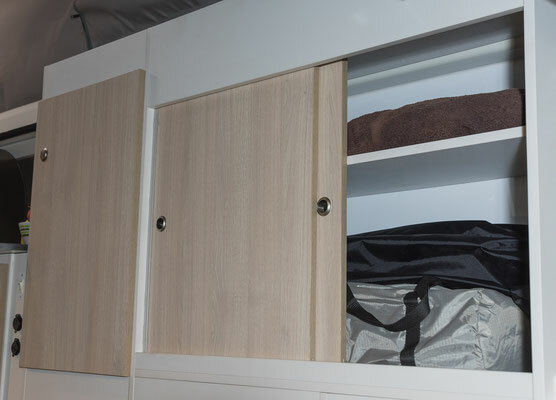 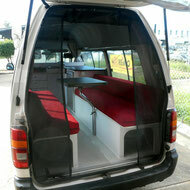 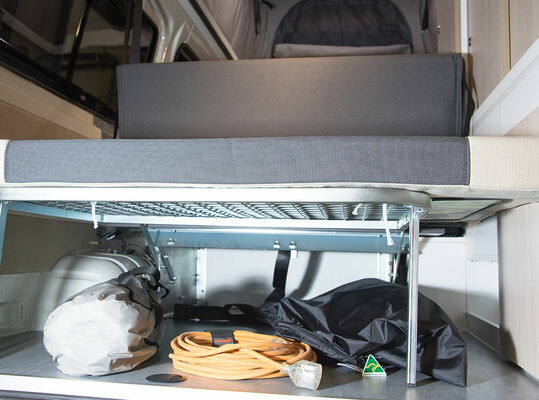 The first campervan in a series which is complete "leave no trace compliant" due to fact that its has also a build in grey water tank on board. 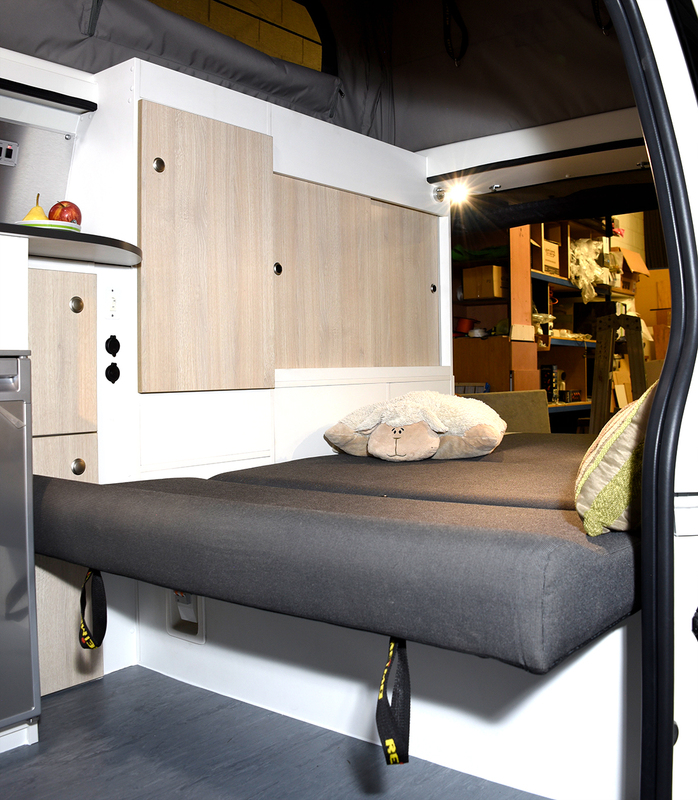 The layout is a Classic layout- but fine tuned an designed to gain more space, offering a a easy to make bed and lots of storage. 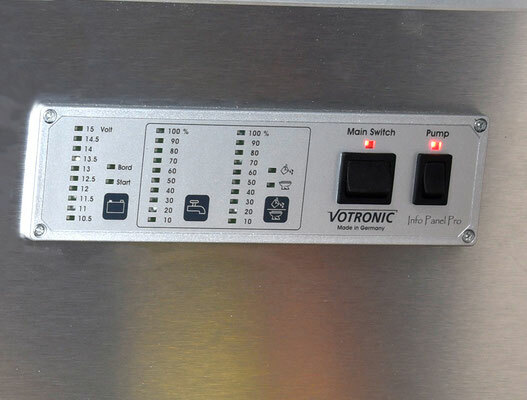 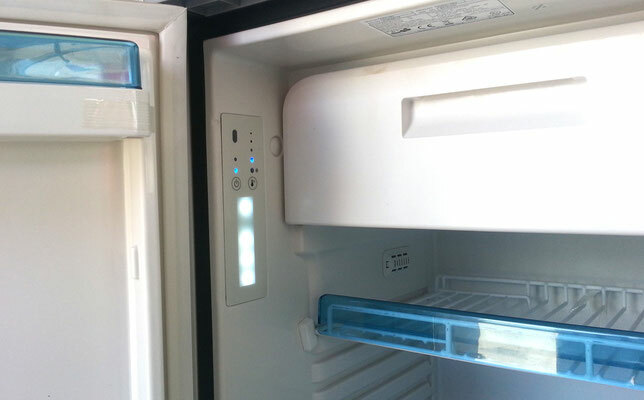 control and operation panel "all in one"